Oops! Sorry, we’re sold out! 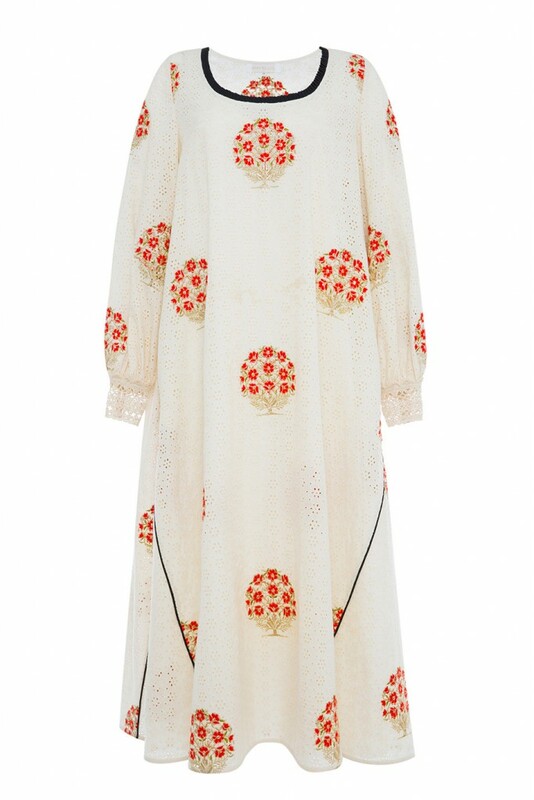 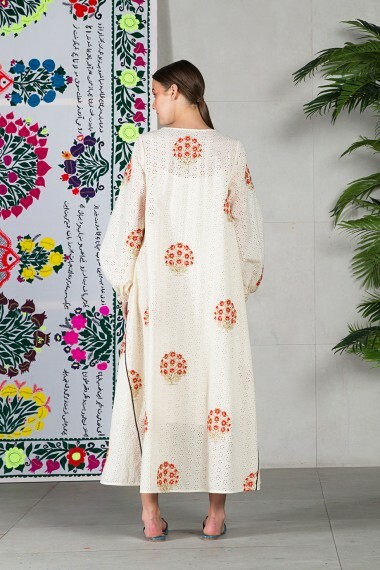 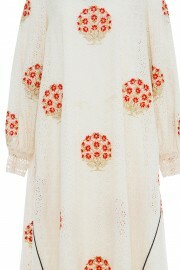 Scallop neckline kaftan in embroidered floral cotton eyelet with black pipe detail and hand crochet detail at cuffs. Comes with separate slip.